Now wait just a minute! I was about to say that even though this book is old, its techniques are probably mostly valid to keep it around if it is all a library had. Then I read the back cover (above). 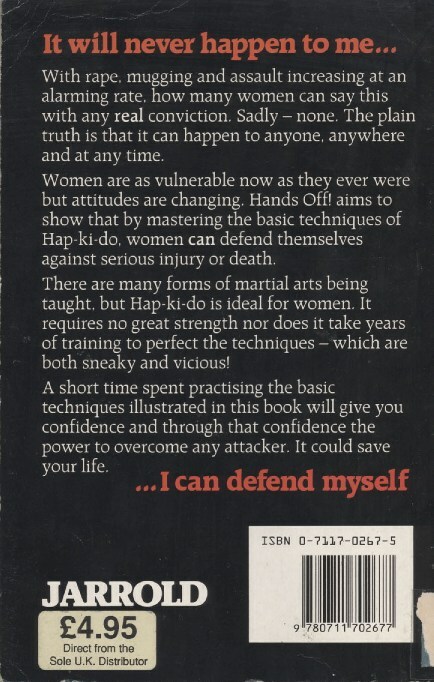 The paragraph about how hap-ki do is perfect for women because it requires no real strength nor years of training to perfect the moves is just insulting. Many, many women I know are a lot stronger physically than many, many men I know! I don’t think women shy away from activity that takes years to perfect, either. Maybe they did in 1986 when “attitudes [were] changing,” as the back cover notes, but not in 2011. Still, the book is probably ok if it’s the best you can do. If you’ve got something more current and less insulting, even better. I’d only weed it if you don’t have/can’t get something better. Just because “women (don’t) shy away from activity that takes years to perfect” doesn’t mean they are interested in investing that time in this specific activity. Similarly, while “many, many” of the women you know are stronger than “many, many” of the men you know, that doesn’t mean all women are stronger than all men. Should weaker women be left unprepared? I think you are reading a lot into this that isn’t there. I’m curious as to why you’d want/need your self defense to be “sneaky”. Does it tell you how to protect yourself using a floppy disk like the last one of this age and genre did? There are definitely better self-defense books out there I’m sure. 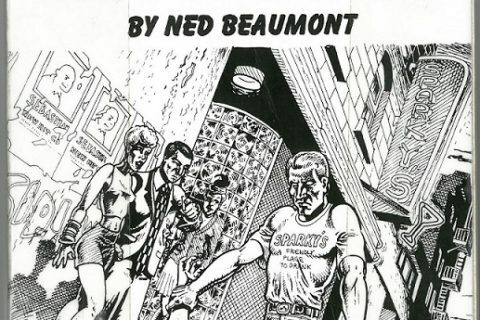 As a practitioner of self-defense martial arts and a librarian, I would never hand any customer a book to learn about it–except perhaps as an introduction about what to expect in class. I would instead offer to locate sites that offer self-defense classes because when a man twice your size attacks you, excecuting the moves is very different than recalling instructions in a book. It’s the attitude that’s the problem. Women likely to be interested in martial arts titles are likely to reject this because they want to put in years of work. People who want quick self-defense go to books on just self-defense. Holly makes a fair point: most women are stronger than men. I think it would be quite wonderful and popular if there were books showing men how to defend themselves against women – using choke holds, sharp implements from the kitchen or toolbox, etc. Correct me if I’m wrong, but I don’t think that martial arts change much through the years. I have several friends who practice Hapkido and they would definitely take issue with the suggestion that it does not take years to perfect. I don’t think the book means to insult women. Like Judo Judy was saying, a very strong 100 lb woman may have a hard time against a 300 lb man. Men just biologically have more muscle mass. I also don’t think they are saying that Hapkido can be mastered in a short time; they seem to imply that the few practical techniques presented in the book can be learned in a short time. While someone might be willing to devote years to study, suppose for example that someone’s hours change and now they are more at risk. Self-defense should require years of classes to learn. Men have more testosterone, and thus have a higher muscle mass. Men have a higher male muscle-mass to body-mass ratio, compared to women. There are physiological differences that mean men typically have more strength. Beside the fact men on average are six inches taller than women. It doesn’t mean men are better, lol. Although, I would agree the book looks like it should be weeded out. Honestly, I would weed the physiology book from 1993. Any textbook over 10 years old is trash. I would have liked to see the inside of the book, is it outdated on the inside as well? Are the descriptions and images clear and easy to understand? And most important, does it work? Or do the people in the picture look more like they are dancing / ritual fencing / whatever? I agree, it is so much better to go to classes and really learn this stuff, but sadly, there are many places that doesn’t have self defense classes. And a well written book (and some training mates) are better than nothing at all. 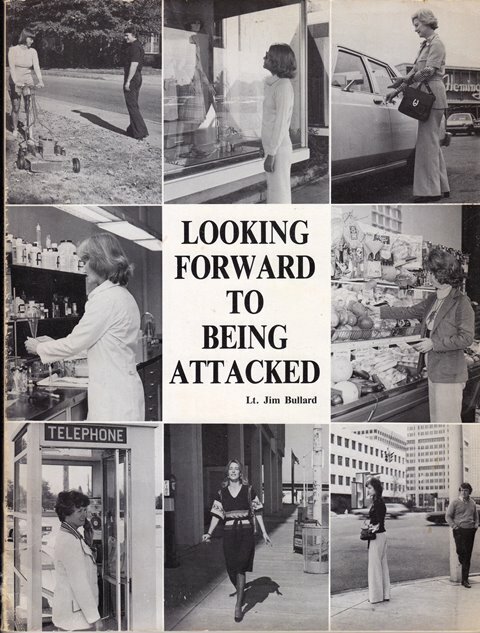 Especially if the book gives good advice on improvised self defense. As I read the back cover, it says “it requires no great strength” not ‘real strength’. It’s just demeaning to women, just stating that, the technique is enough and strength doesn’t play a large role in being able to execute the moves. Additionally, it’s not inferring that women shy away from things that take a long time to master, just simply that these techniques can be implemented quickly. err, NOT demeaning to women. Proofreading is not my strong suit. That woman on the cover looks an awful lot like Yeardley Smith. Any way to tell for sure?